We believe in providing safe, beautiful and affordable tanning. We love the look of a beautiful, natural looking tan. Tanning beds and the suns harmful rays take a toll on the skin. After seeing many friends have problems with skin cancer, we decided we would provide an alternative so you can stay looking great without harming your skin! Please give us a try! You wont be disappointed! We love to see pictures of your tans! 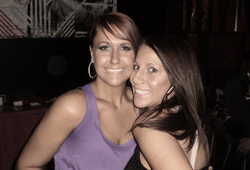 Send us pics and we will post them on our blog as well as enter you in a monthly drawing for a free tan!